Turn Key Horse Property on 2.43 acres located on the Southern slope of Thornhill with fantastic views of the Valley. 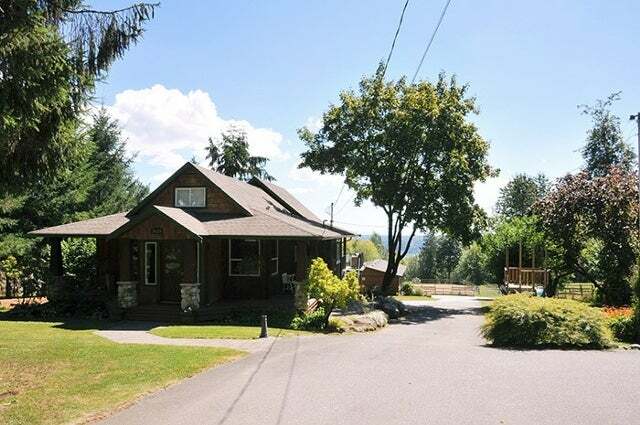 This rancher w/ loft & basement features master bedrooms on the main with ensuite, 2 bedrooms up plus a play area, cozy family room, country kitchen with SS appliances, eating area & an amazing picturesque living room to relax in for hours! Plus huge entertaining deck to soak in the views! The bsmt has a modern rec room, office area & room for the in laws or teenagers. The house offers a generator, lots of great reno's & space for large family. Walk down to paved driveway to an awesome 1125 sqft shop with heat, power & a carport to host an RV (25x12). Next door to the shop is a 3 stall barn with tack & hay room with riding ring & pastures steps away.